wedged open, rooted in place by brambles. 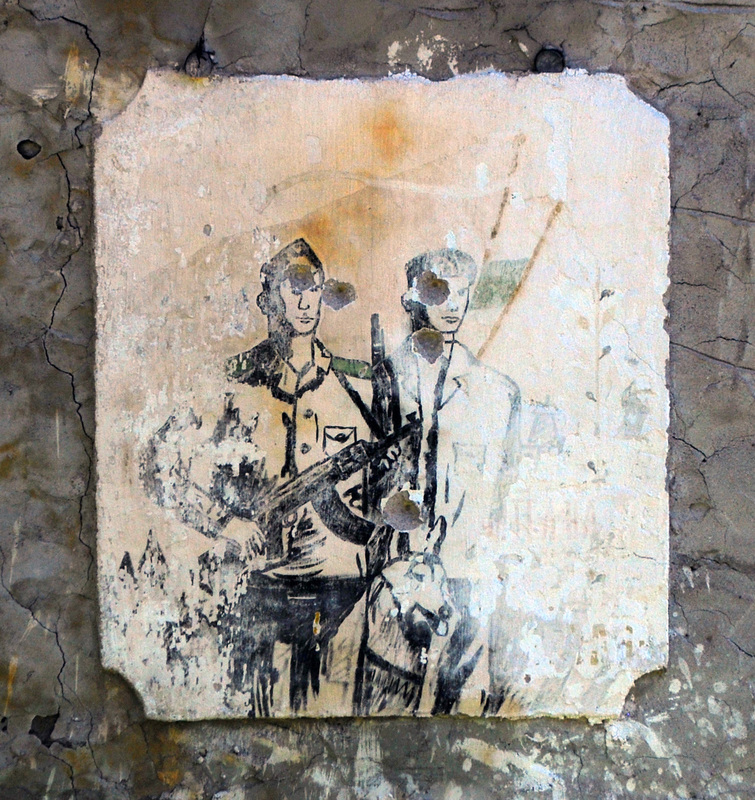 plaster peeled from a police post. a skitter of lizards. This was the border. to side – Bulgaria! Greece! Greece! Bulgaria! for meanderings of boot and conversation. at the ready, face merging into mouldering render. A cowbell tinkled. The sky was blue as sleep. Once, someone would have shot us if we’d crossed. Lovely poem and accompanying drawing. The picture is from Vodni Pad, near Trigrad. It used to be heavily guarded to stop people trying to escape from Eastern Europe to Greece during the Soviet era.